Only the best authentic cubans! Cuban cigars are accepted worldwide as some to the best in the world and La Casa Del Habano franchisees only stock the best of the Cubans. We take great care to keep our cigars in the best possible conditions in our walk-in humidor, the largest in the Eastern Caribbean. We can provide one of a kind selection of singles, we have special and unique boxes available only in La Casa Del Habano locations. The most important space inside any La Casa del Habano is the humidor. 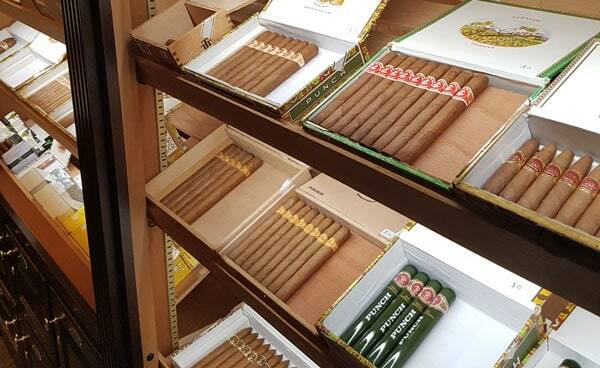 Our walk-in humidor has large glass walls so you can see our cigars from every point of view in the store. In the humidor you will find the impressively large Cuban cigars collection, they are kept at the best humidity and temperature to guarantee the highest quality. We would be very happy to guide you through our humidor and assist you in making the best choice to stock your humidor at home or to smoke in our lounge. Our humidor was custom designed and manufactured by a specialist manufacturer based in North America. 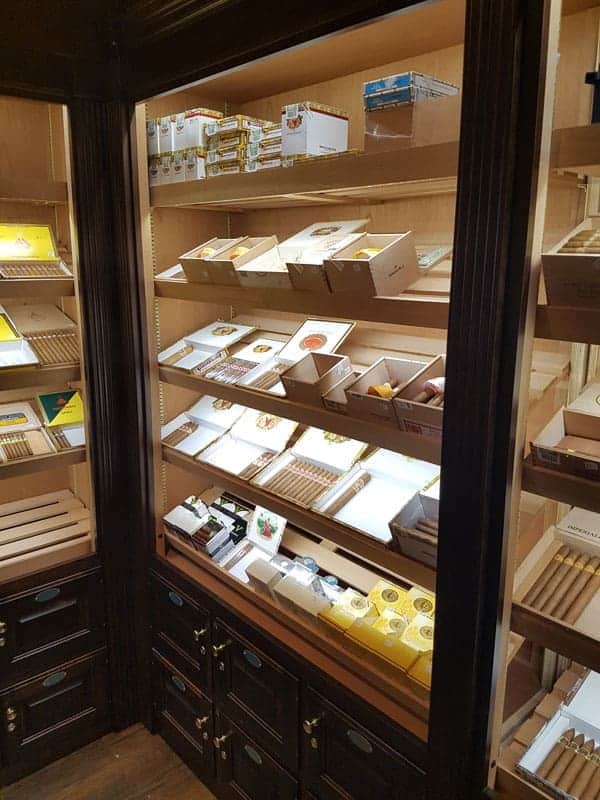 The humidor is fully lined with Spanish Cedar and is kept at the optimum temperature and humidity levels, with an alert system that immediately notifies of us any significant deviation.